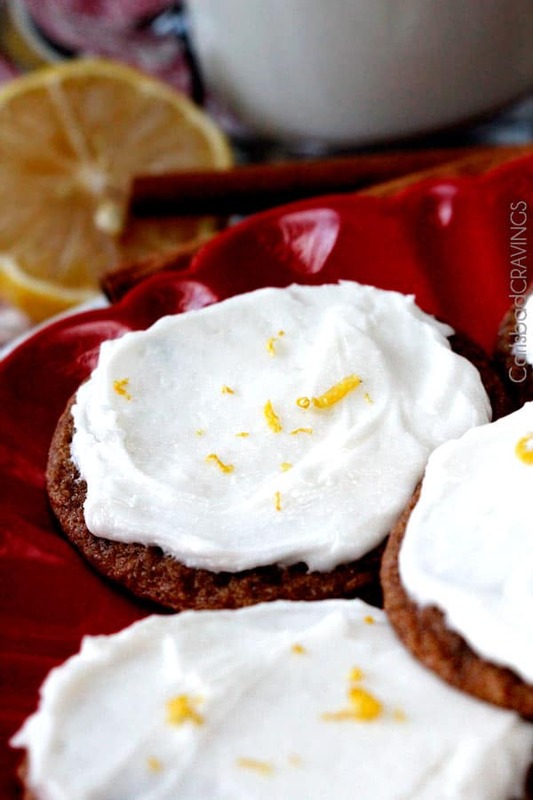 I have a new favorite cookie to add to your Christmas collection: Soft and Chewy Gingersnap Cookies with Lemon Buttercream Frosting! But these just aren’t any gingersnap cookies. 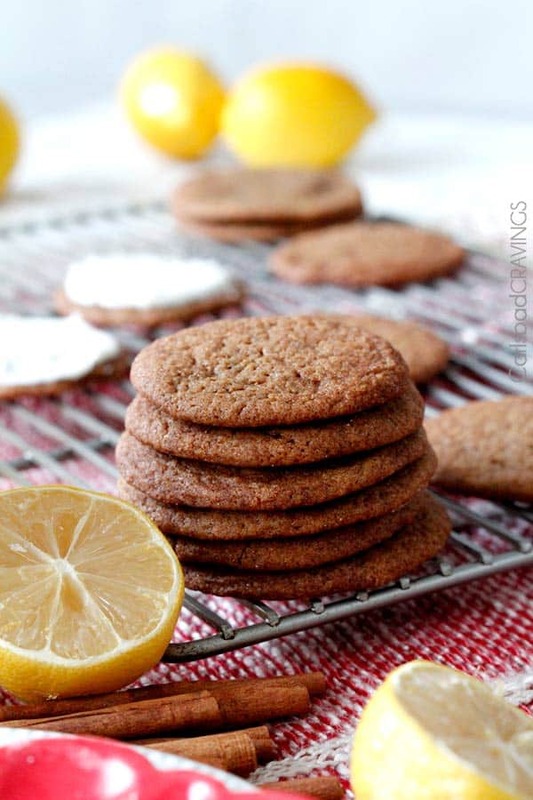 These cookies are mega soft and chewy and if you aren’t going to frost them with the amazing frosting, then they get rolled in cinnamon and sugar that crystallizes as they bake to create snickerdoodle gingersnap cookies. Either way, its a win-win. 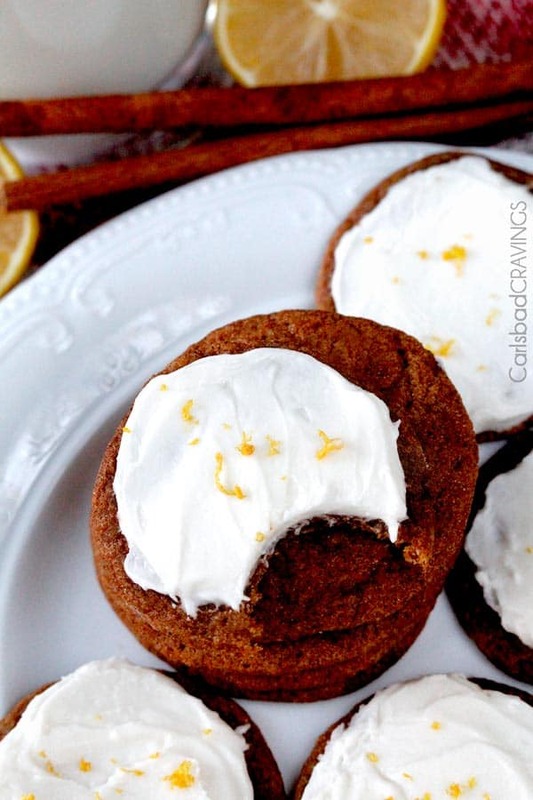 The bright, sweet, citrus lemon frosting is positively addicting and perfectly compliments the deeply rich, molasses cookies with a slight ginger zing and spice of cinnamon, and cloves. Its a match made in heaven. 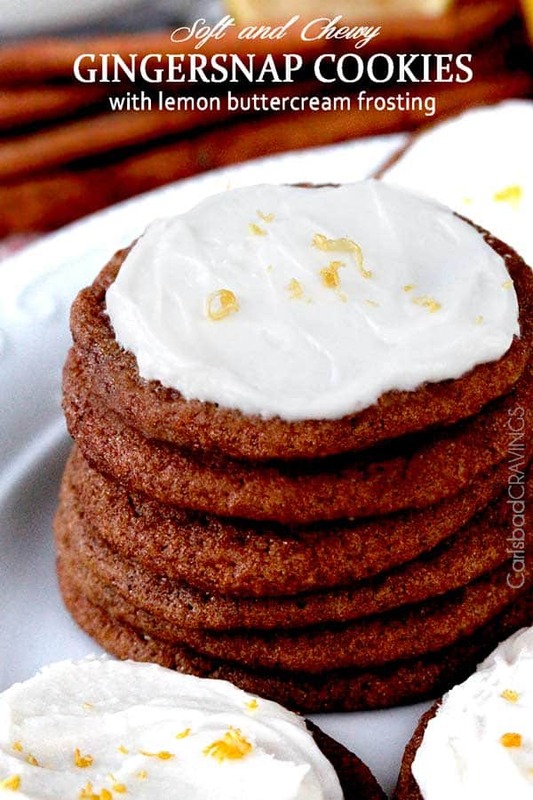 And soon you’ll be in heaven, full of foodie joy once you make and devour these Soft and Chewy Gingersnap Cookies with Lemon Buttercream Frosting. The perfect holiday gift…to yourself. 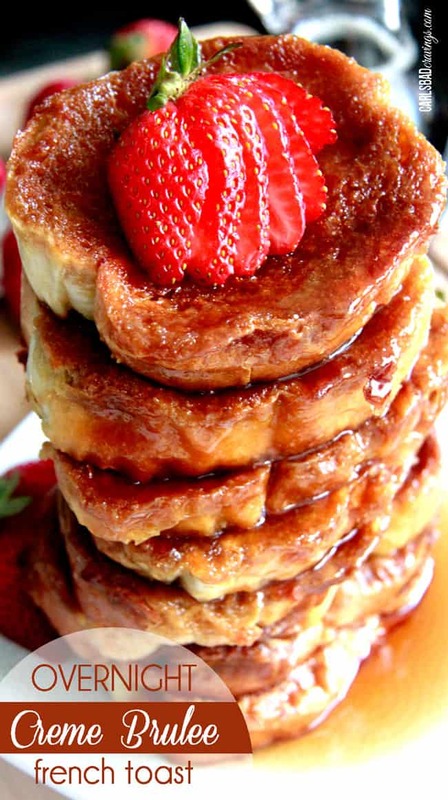 To get the full recipe, click here and see it on Oh Sweet Basil! 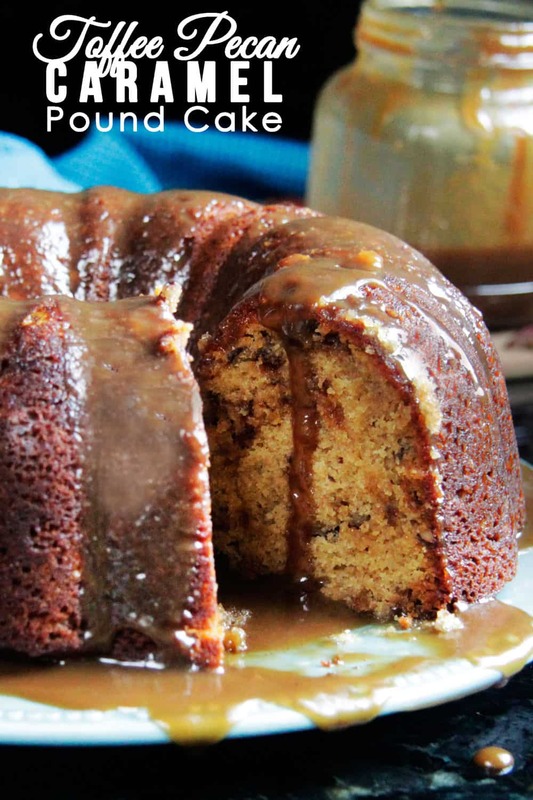 Thank you Carrian for featuring my recipe! 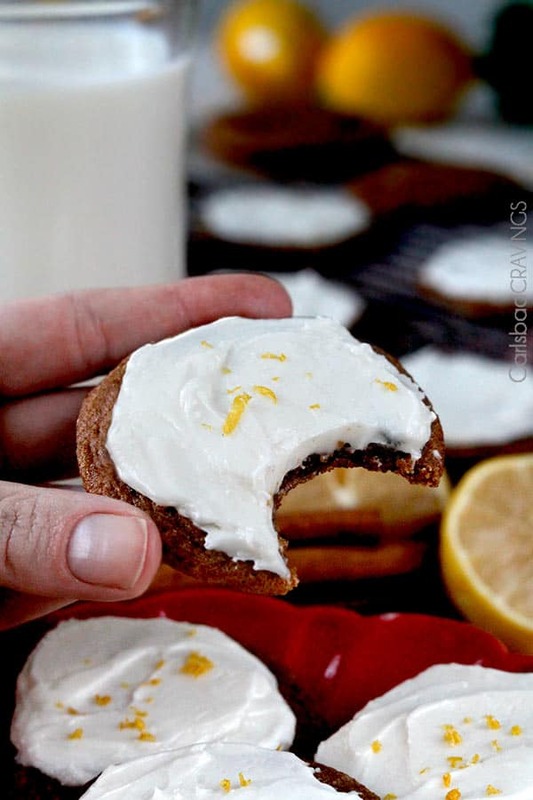 I love gingersnap cookies but never would have thought to pair them lemon frosting and then I saw your pictures and knew I had to try them – they DID NOT disappoint! 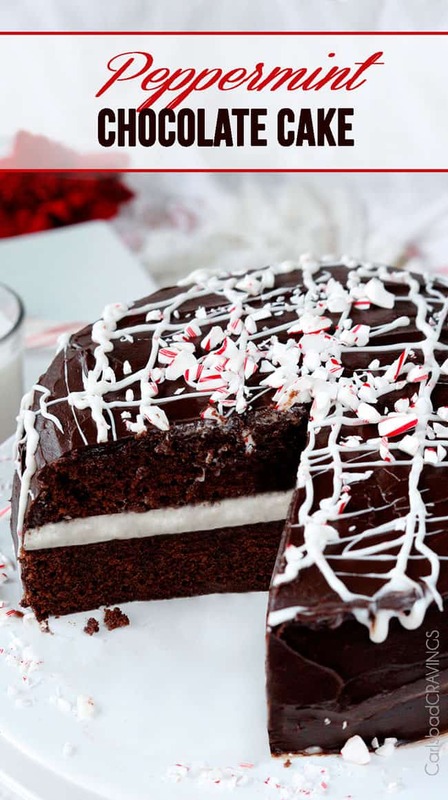 This might just be my new favorite dessert of the holidays! Thank you for delicious and easy recipe! 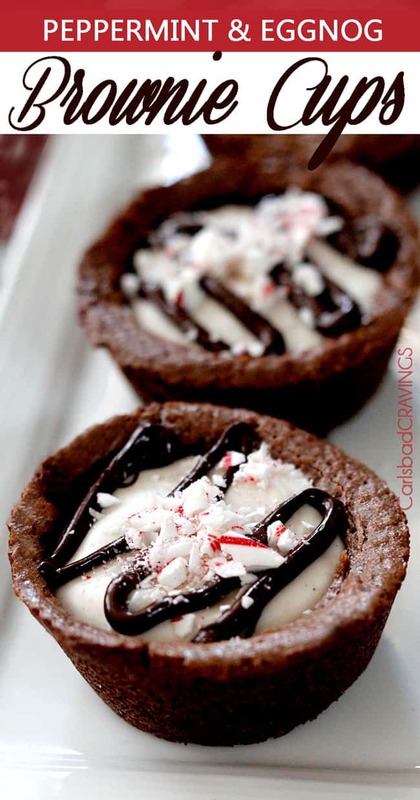 Hi Wendy, I am so happy you tried these and loved them – and “favorite dessert of the holidays” – that is quite the compliment – thank you so much! I hope you continue to enjoy them year after year!